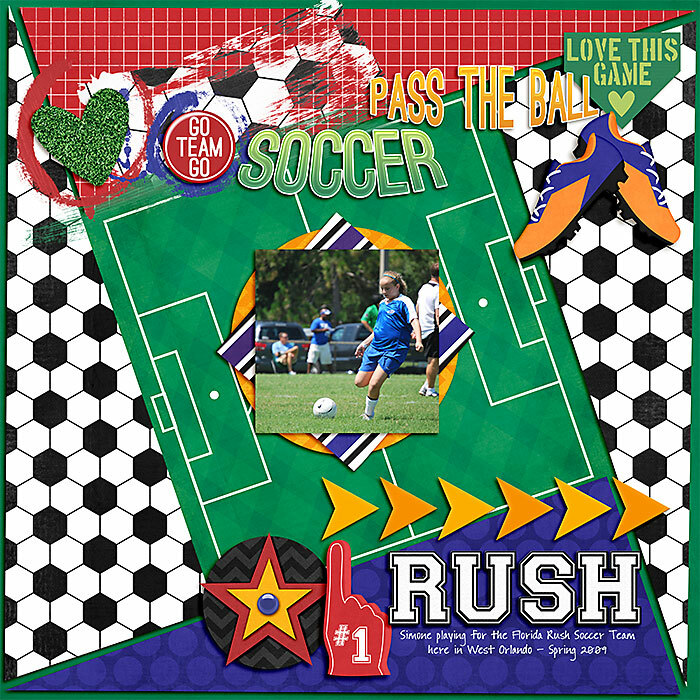 It's game day! 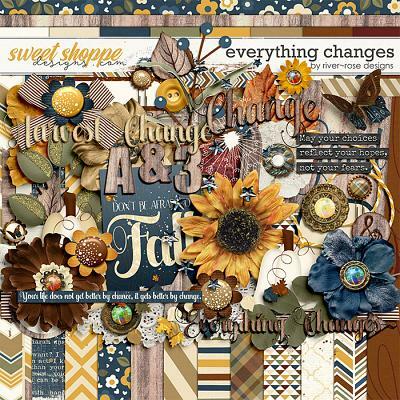 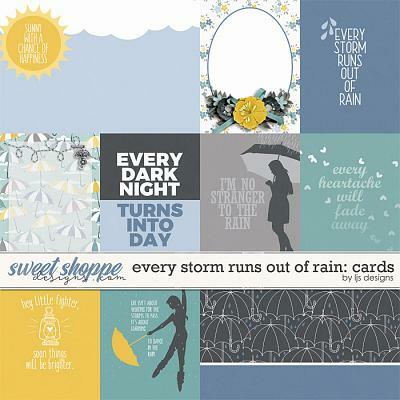 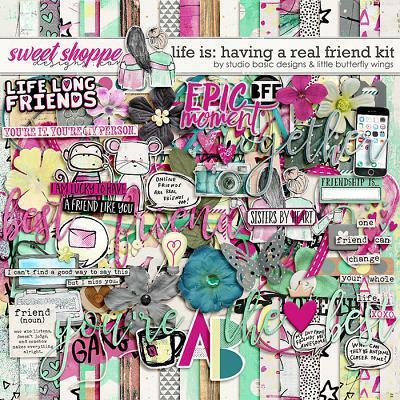 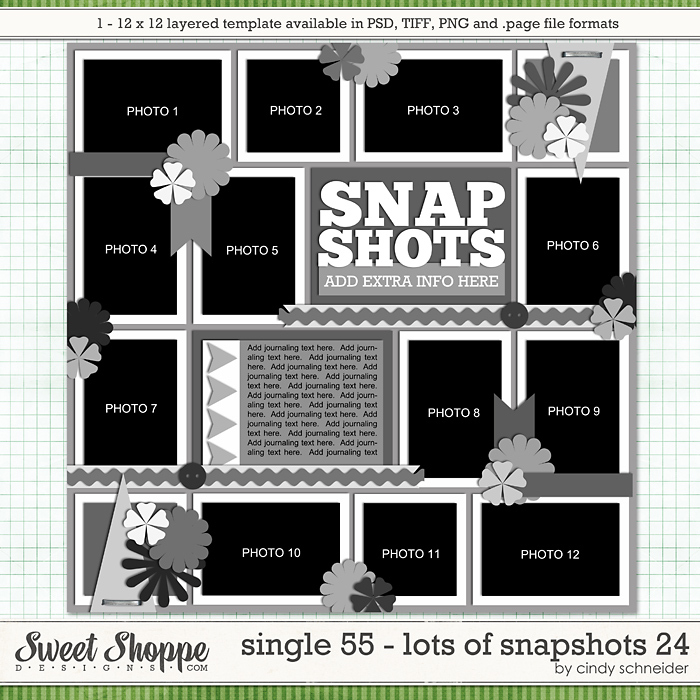 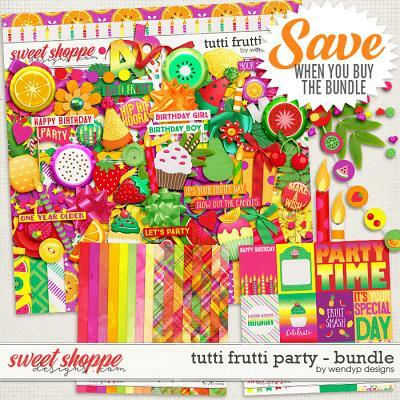 And yes, everything is set for 8 On 8, a digital scrapbooking kit by Traci Reed. 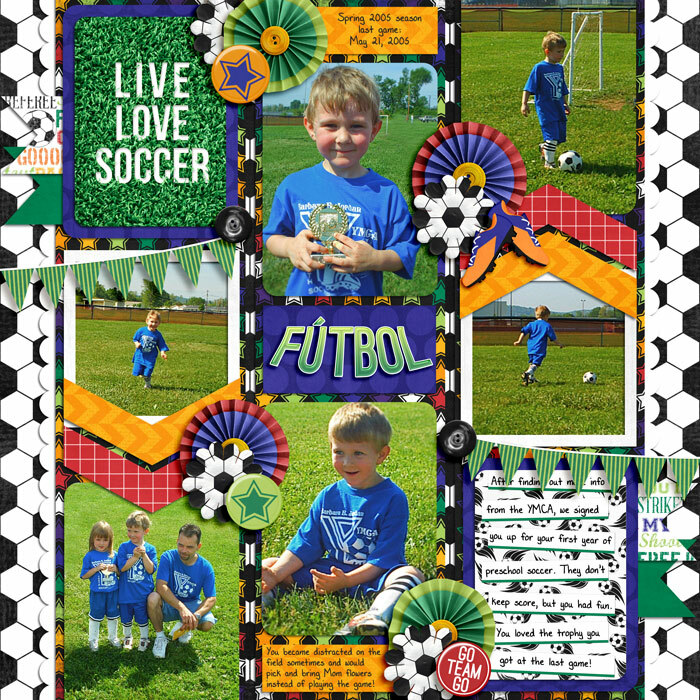 8 On 8 is for all soccer moms out there with lots and lots of photos! 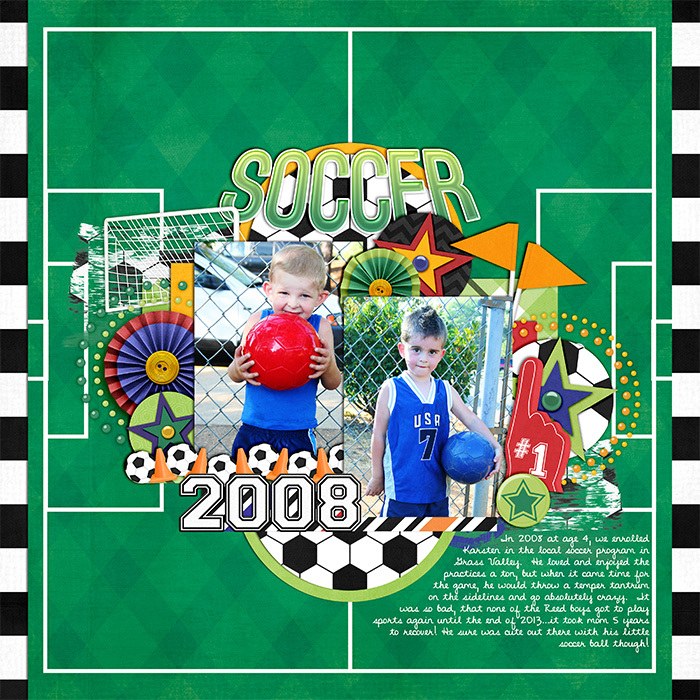 This kit is also perfect for futbol or soccer viewing parties in time for the World Cup! 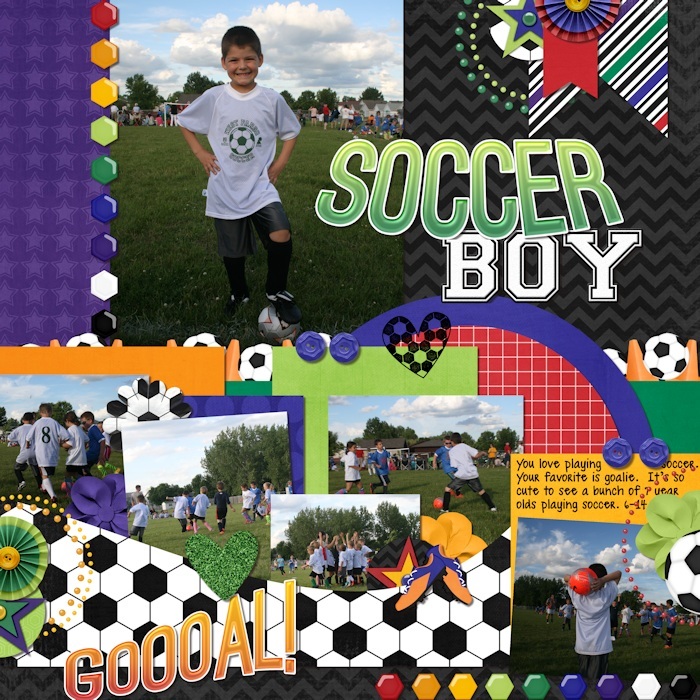 All tools for documentation - from soccer references, possible colors, and other essential knick knacks are perfectly captured! 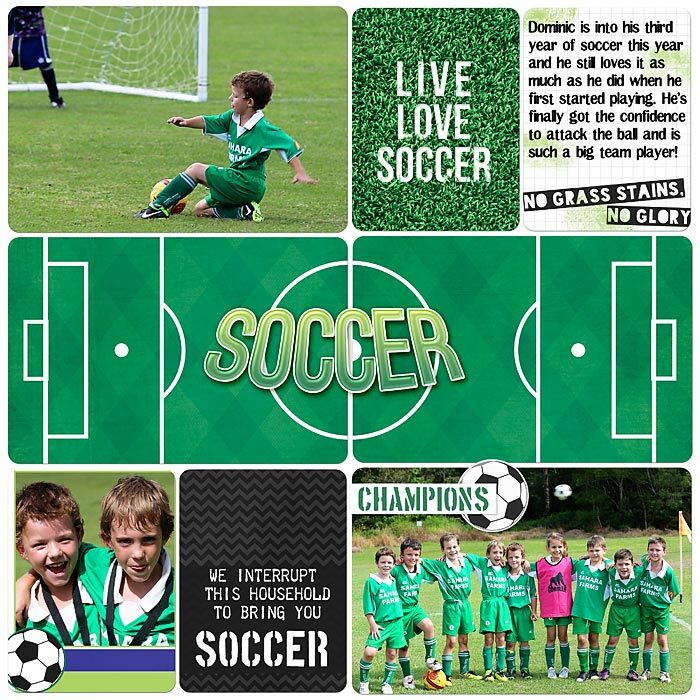 Go on, and share your stories in and around soccer. 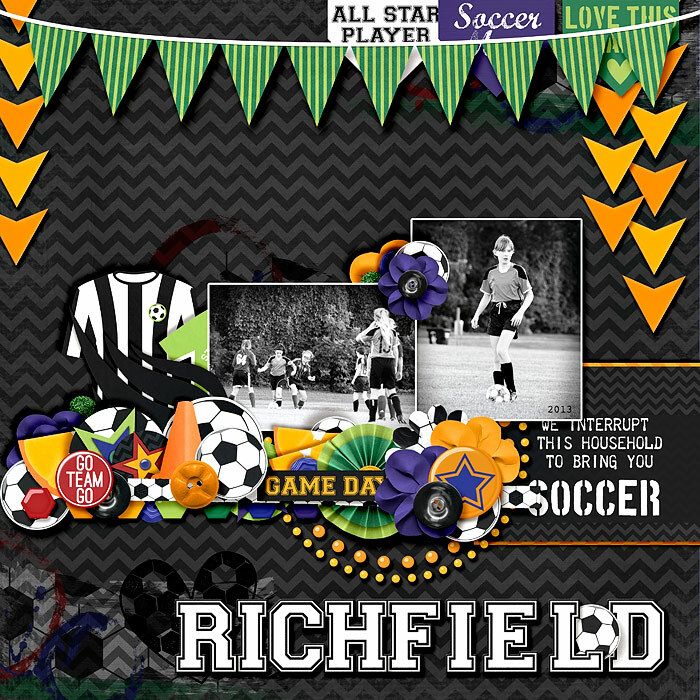 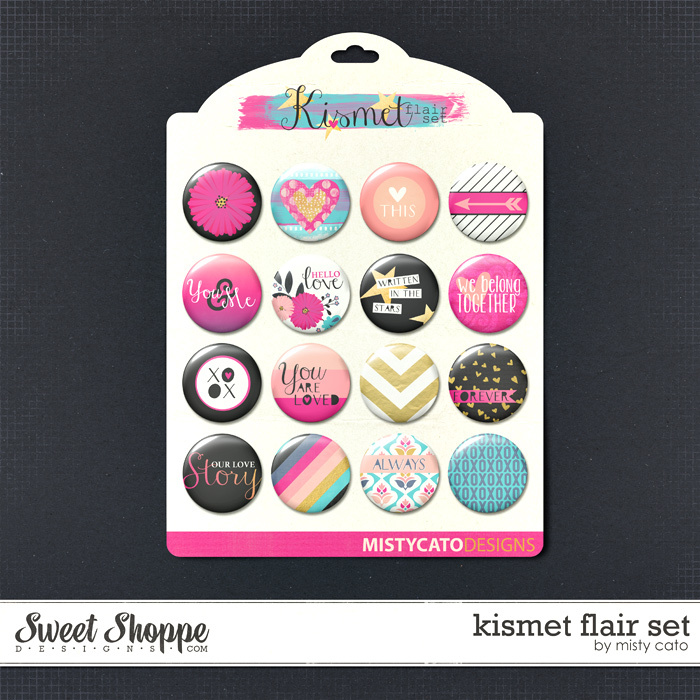 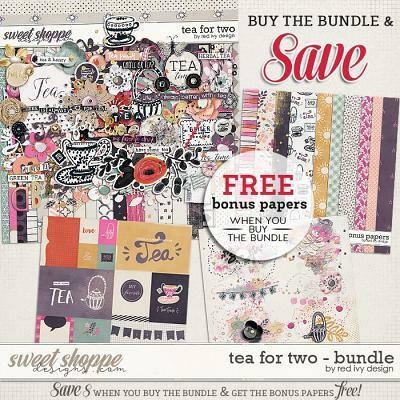 Includes: 14 patterned and 9 solid digital scrapbooking papers, 2 complete digital scrapbooking alphas on individual .png sheets - "grass" and varsity letter styles, and 70+ digital scrapbooking embellishments - including fútbol, football and futeball alternates!